Finance Minister Arun Jaitley in his maiden budget speech said the NDA government wants to move towards ‘Health for All’ and to fulfil this aim on priority by providing free drug service and free diagnostic services. ‘In keeping with the government’s focus on improving affordable healthcare and to augment the transfer of technology for better health care facilities in rural India, 15 Model Rural Health Research Centres will be set up in the states, which will take up research on local health issues concerning rural population,’ he said. 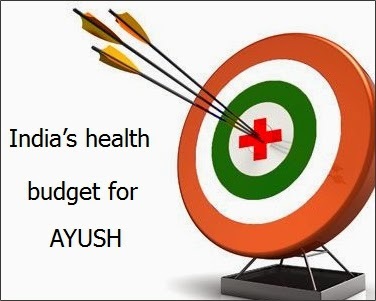 Last year’s budget for the health ministry was Rs.27,531 crore (Rs.275.31 billion). Jaitley also said the government will set up four new All India Institutes of Medical Sciences (AIIMS) in the country with a corpus of Rs.500 crore. The National Democratic Alliance (NDA) government also laid emphasis on improving and upgrading public health so that people get better medical facilities. As India has 2.39 million HIV/AIDS patients, a separate department was created to control its spread and to form policies. The department was allotted Rs.1,785 crore compared to Rs.1,500 crore – a jump of 19 percent.